first lottery - hopeandgives Webseite! Yes! 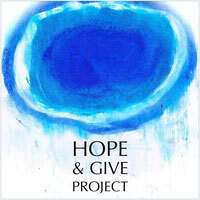 Here is the first video of our first lottery for HOPE & GIVE. We had 14 applicants until today. And the winner is Janet Alibrandis, USA. Today we will send a few questions to Janet.